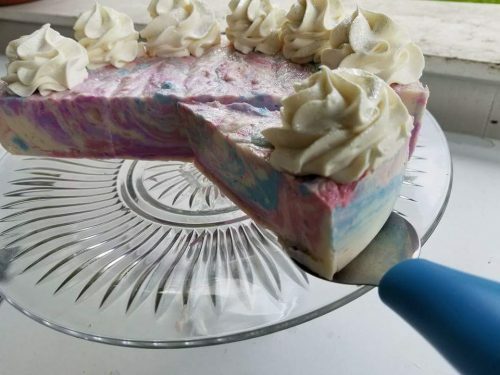 Pink, purple, and blue swirly in a white soap. It is scented with cherry and topped with lots of holographic glitter! 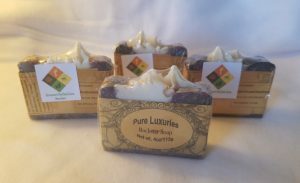 5oz bar made with coconut oil, olive oil, Shea, avocado oil, lye, water, whole milk yogurt, fragrance, and mica colorant.